‘Tis the season for holiday cheer…and engagements! Not only does this time of year bring out sparkly decorations, but it’s the season for sparkly hand accessories! 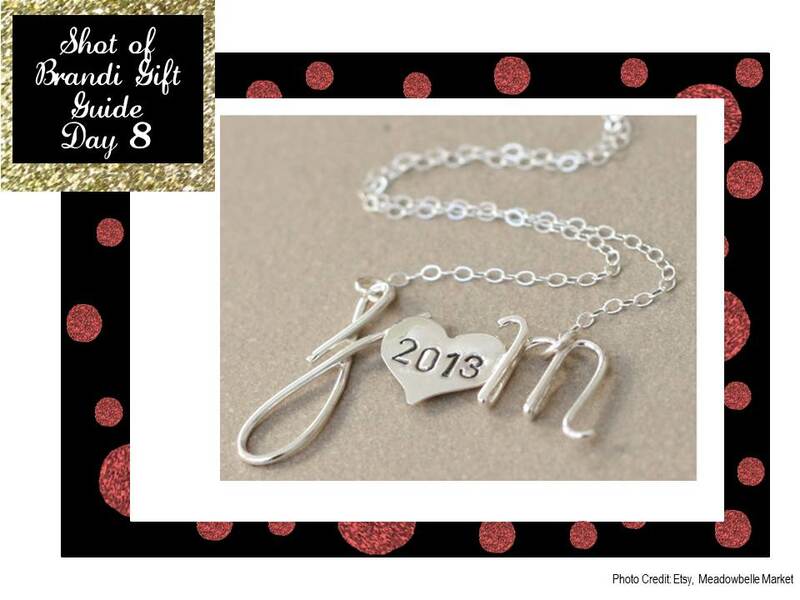 For the recently engaged gal, I love these cute necklaces from Etsy seller Meadowbelle Market. Pair the couples initials with a heart that includes can mark the year of their engagement or nuptials.